What are recycled diamonds? Where are they from? What makes a Catbird recycled diamond an ethically sourced diamond? A recycled or reclaimed diamond is a diamond that was once mined and used in a jewelry setting, and is ready to be repurposed for another piece of jewelry. Diamonds are the hardest naturally occurring substance which makes them perfect candidates for recycling — they can be used more than once without any trace of wear. An example of the vintage jewelry that our recycled diamonds come from. 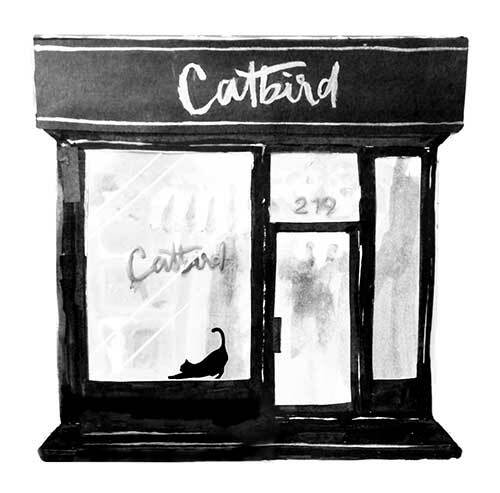 How does Catbird find its recycled diamonds? Our recycled diamond supplier is fifth generation legacy in the industry and works within his network of estate sales and auctions. Oftentimes, the diamond is still in an older piece of jewelry, or it’s found in broken jewelry pieces that are about to get scrapped. Once the diamond is taken out of its setting and cleaned, it may get recut to be set into new jewelry and give it a new life. How can you tell where your recycled diamond is originally from? Since these stones are all in their second lives, tracing where they came from originally is not possible. However, since they are recycled they have zero environmental impact (no mining) and are utilizing materials which already exist in a finished form. Are recycled diamonds more affordable than traditionally mined diamonds? Recycled diamonds are still mined diamonds, which means they are finite and precious, so their value stays relatively the same, recycled or new. Which Catbird pieces use recycled diamonds? All Catbird jewelry that uses brilliant cut diamonds are made with recycled diamonds. If a piece has a mix of rose cut and brilliant diamonds, the brilliant diamonds will always be recycled.